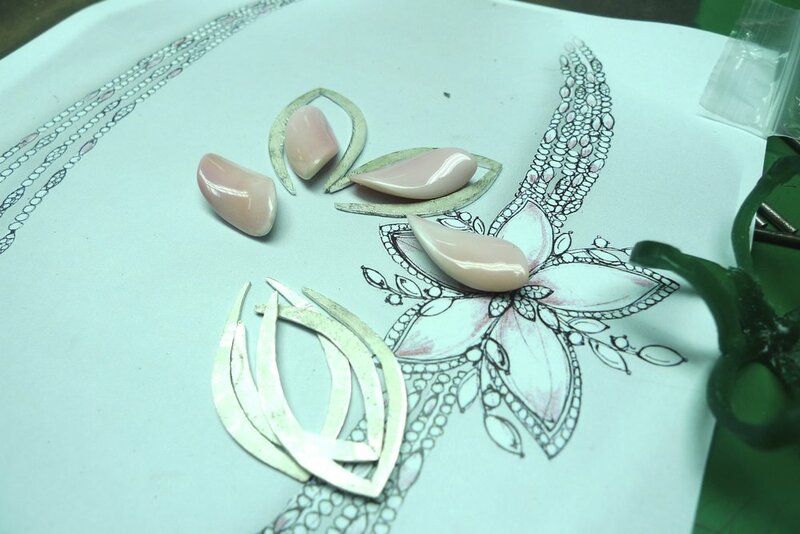 Prologue designs and manufactures all its art objects and jewellery pieces in-house. This allows its founder, owner and designer, Pedro de Aranda, to fully realise his ideas and create pieces that remain true to his designs. All the bespoke art created incorporates all types of materials, from the traditional silver and gold, to exotic leathers and timbers. Pedro invests a great deal of time to find the finest materials available, whether it is the perfect stone, the perfect metal or the perfect finish to bring his designs to life. With over 45 years of experience in the jewellery and watch industry, working with some of the most prestigious brands and manufacturers, he relies on his vast and varied experience to train and manage his own team of talented craftsmen. Since its creation in 1994, Prologue has always designed and created its pieces in its own workshops in England, Germany, Hong Kong, Lebanon and Thailand. 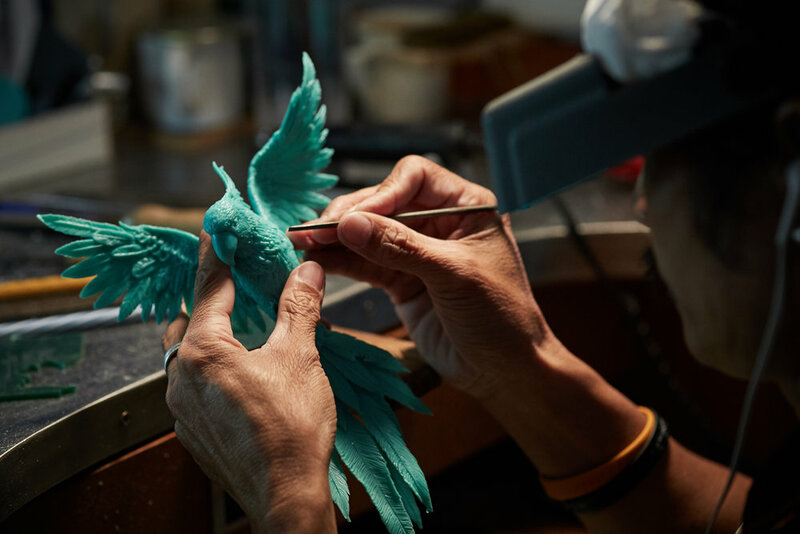 Over the years, Pedro has centralised Prologue’s production capabilities to its four-floor workshop in Bangkok where Pedro is able to better leverage his experience and network of suppliers, to find the most exotic materials and stones, quickly and efficiently. Pedro works closely with some of the best silversmiths, goldsmiths, carvers and stone dealers in the industry.